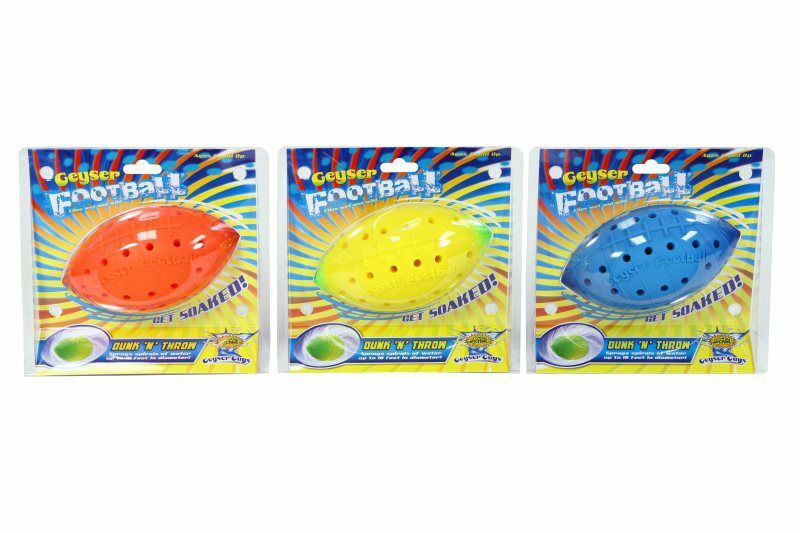 The Small Geyser Football is an excellent way of bringing the gridiron classic to the backyard swimming pool, beach or any lakefront! 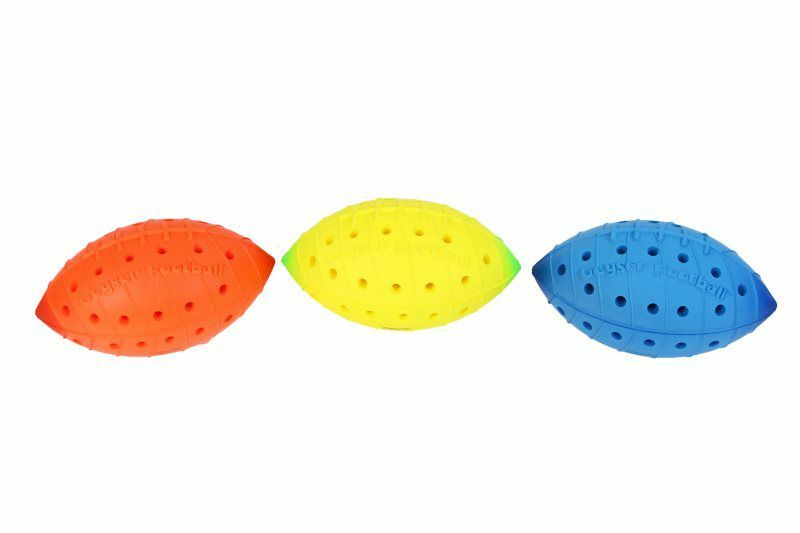 By simply submerging the Geyser Football under water, you'll have everything you need to drench your buddies by tossing the perfect spiral! Capable of spraying water within a 10 foot diameter upon launch, the Geyser Football includes patent pending tubular holes that are ideal for collecting and releasing water. 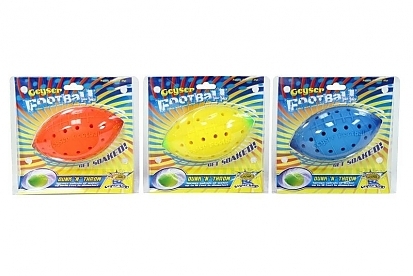 Versatility is the key as the Geyser Football can be used with or without water. No matter the season, you'll finally be able to throw that perfect spiral with a watery edge. Copyright © 2018 Water Sports, LLC· All rights reserved.